This brand new cross promises to be one awesome hybrid. 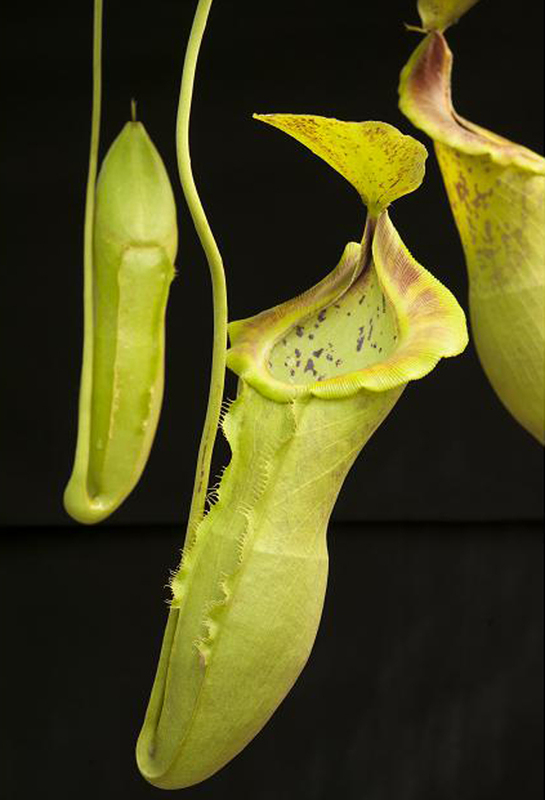 Nepenthes campanulata is well-known and VERY highly sought after by collectors for its bright glowing-green pitchers. 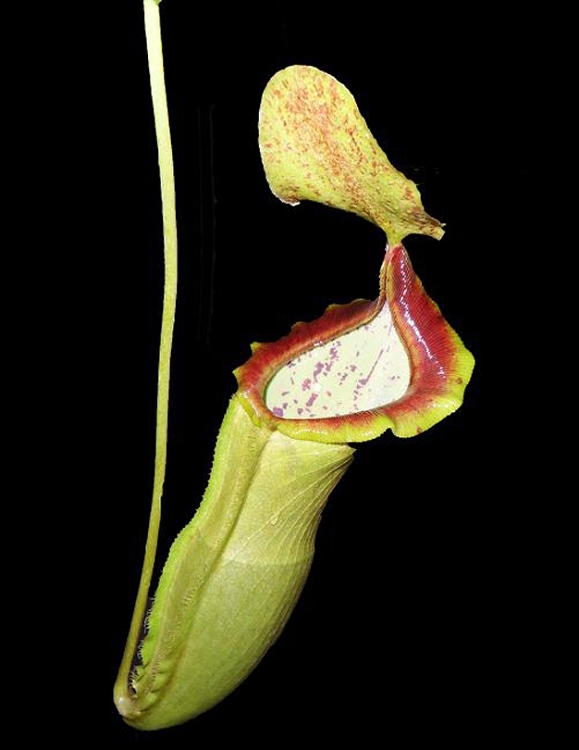 Couple this with the ease of growth, size, and nice overall coloration of Nepenthes spathulata, and you can easily see the potential these plants have. The peristome (lip) gets a bronze tint as they mature too! Plants up to 3 or more inches in diameter, shipped potted and ready to grow in 3-inch pots, not bareroot as you find with many other suppliers. Note: for those who want to keep track of Borneo Exotics' item codes, this is BE-3796.